To the Side that was never just a side item, here's to the good times we've shared. Some of us will remember you as the perfect topping to our original Chick-fil-A Chicken Sandwich. Some of us will reflect on the picnics we've shared or the combo meals we've savored. 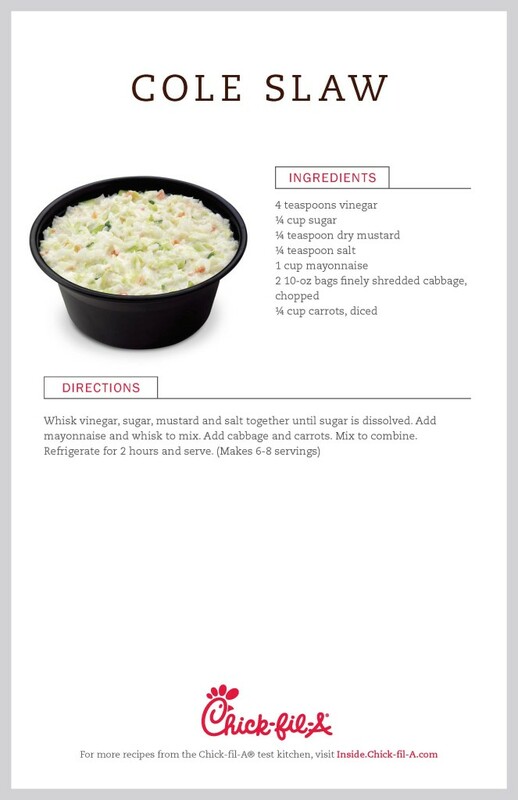 All in all it was a beautiful 49 years, Cole Slaw. When you take your final bow January 18th, you will be gone but never forgotten. To all the cabbage lovers out there, we feel you. To make the loss a little easier to bear, we're releasing, for the first time, the original recipe to make at home...even on Sunday. Click below to download a recipe card. Dwarf House Restaurants will continue to serve Cole Slaw as part of the restaurants' expanded menu.